In 1974, B.B. King brought the blues back to Africa. An audience of 80,000 came to Kinshasa for a 3 day music festival of America's Black and Latin legends and the "Rumble In The Jungle" Ali vs. Foreman in the fight of the century. The very air sizzled with excitement. Then B.B. filled the night with his raw power, searing energy and heart-stopping emotion. This inspiring classic concert is by far one of B.B. King's greatest performances. 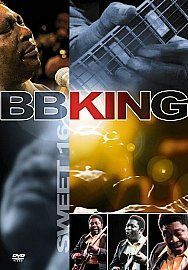 Watch B.B. and Lucille burn up the stage. If you look closely you can see Ali in the audience of the show. Now this classic footage is available on DVD and an unforgettable night of music is lived again.